If you are any level of a horror film fan, you will not want to miss this year Halloween Horror Nights at Universal Studios Hollywood! This years event pays homage to everything from the classics to todays most popular hits on both the big and small screens. We attended opening night and as a huge haunt fan I kept an open mind going in, what I experienced surprised even the septic in me. I have my top picks, tips and answer the big question… with the crazy popularity of the Netflix series Stranger Things, is it appropriate for kids? Get there early! Consider traffic, time to park and walk to the studio and going thru security. Pack light and remember no food or outside drinks are allowed. Buy your tickets online. Event begins at 7pm, early entry at 5pm available for online purchases only. Select mazes will begin opening at 5:15pm. This will get you a huge head start on the evening! Print your tickets in advance, or tickets can be scanned directly from a mobile device. Hit the lower level first! You will be tempted to stay on the upper level but most of the mazes are located on the lower level and will get busier as the evening progresses. Leave the Jabbawockeez Show and Terror Tram for last along with the upper mazes. The Terror Tram Line closes at 11:15pm on Halloween Night, Thursdays, & Sundays and 11:45pm on Fridays & Saturdays. Rides: The Mummy, The Simpsons and Transformers are the only rides open, leave those for last. You might be tempted due to short wait times to hop on but you are better off passing them up all together or waiting till you have done all the mazes. Purchase weekday vs weekend to save some cash and avoid the larger weekend crowds. Enjoy the best discounts and shorter wait times during the first 5 nights of the event: September 14, 15, 20, 21 & 22. Check the Maze wait times via the illuminated boards or download the app. General Tip: Wear light layers and comfortable shoes, there is a ton of walking, the night will get a bit cool, and remember to stay hydrated, I was so thirsty at the end of the evening! If you are frightened, going thru mazes while it’s still light out, great way to ease into the haunt if you are a first timer. Poltergeist: Hands down is THE must do maze of 2018 at HHN. Spot on and I loved it! Universal Monsters: Loved the tribute to the classics all with a new twist! The First Purge: See what 12 hours of lawless behavior can create. My top Scare Zone picks: I have to give it to Holidayz in Hell on the lower lot, detailed, good length and oh so very twisted. 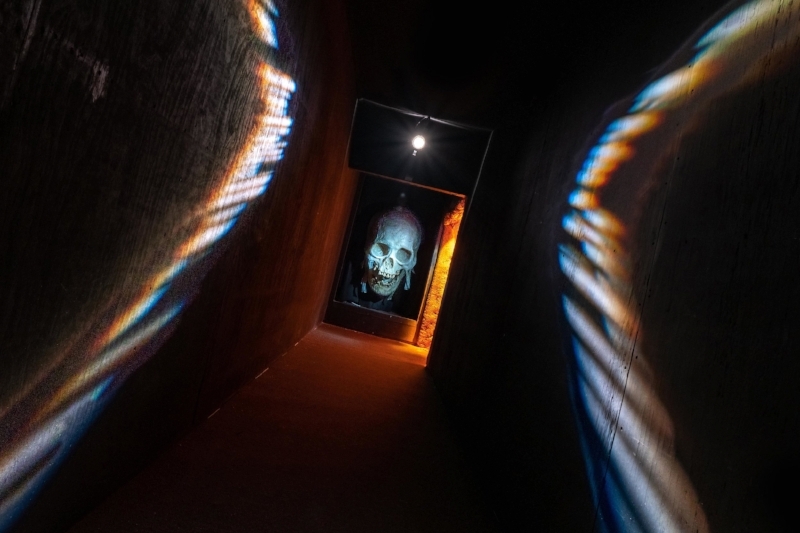 Props to the scare actors that work in the Toxxic Tunnel for their ability to scare the living crap out of people by just chasing them down within their modest confines. As for The Monster Masquerade, this is a great extension of the Universal Monsters maze creating a flawless flow into one another. As for the hugely anticipated Netflix Stranger Things Maze, here’s the low down. The costumes and rooms were very detailed. The were several appearances from the Demogordon and the maze took you through the first season to a T. The big question about this maze and the entire haunt in general many parents have… is it appropriate for my kids? I for one would not take my 11 year old to any haunt quite yet BUT when the time comes this will be the one. In saying this you know your child best, I saw several kids at the haunt none of which looked upset to be there. 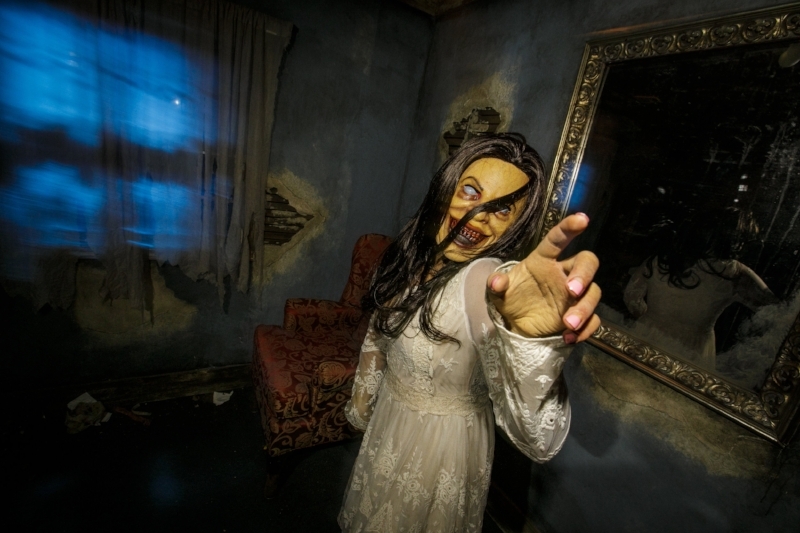 Halloween Horror Nights are all about the recreation of the sets and stories surrounded their themes. Parents who’s kids are expressing interest can prepare them by simply watching the movies or T.V shows they are based off. With all that said most haunts as HHN are recommended for ages 13 and up. Final thoughts: We had a blast! I am a huge fan of all our local haunts here in SoCal and I can finally say I would recommend HHN now having fully experienced it. Sadly the Terror Tram fell short for me again this year. I love the studio tour by day and had high hope for the halloween overlay. If you are crunched for time, this might be one you leave out all together if you have to choose one thing. Halloween Horror Nights will be open select dates September 14th through November 3rd: 7PM – 2AM. On September 16th, 20th, 26th and November 1st & 2nd hours are 7PM – 1AM. Get the complete 2018 HHN maze and scare zone line up and all my news from Universal Studios below!